It’s finally fall! I’m so excited for fall activities, colder weather, and of course - pumpkin spice lattes! This week, Aimery and I went to a local orchard to do some pumpkin picking! We had the BEST time. 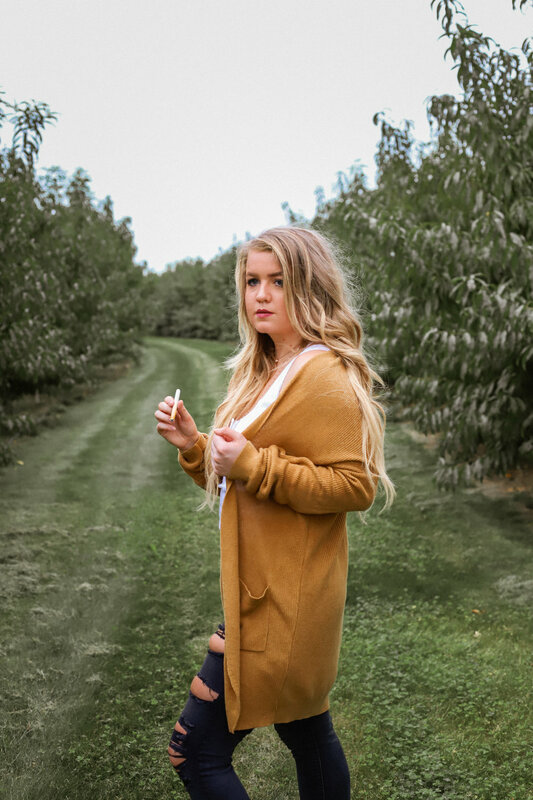 If you are planning on taking a trip to the pumpkin patch or apple orchard this fall, you are going to need an outfit with layers! When choosing your outfit to style for photos, you’ll want to choose something stylish yet comfortable for the changing weather. I love simply wearing a warm cardigan over a tank top and distressed denim in the first few weeks of fall. Pair with a pair of comfortable booties and you are ready for any fall activity! For Aimery, I went with a warm long-sleeve shirt and brown pants. Brown pants are my fall must-have for him, since you can’t tell when he gets them dirty 😉. 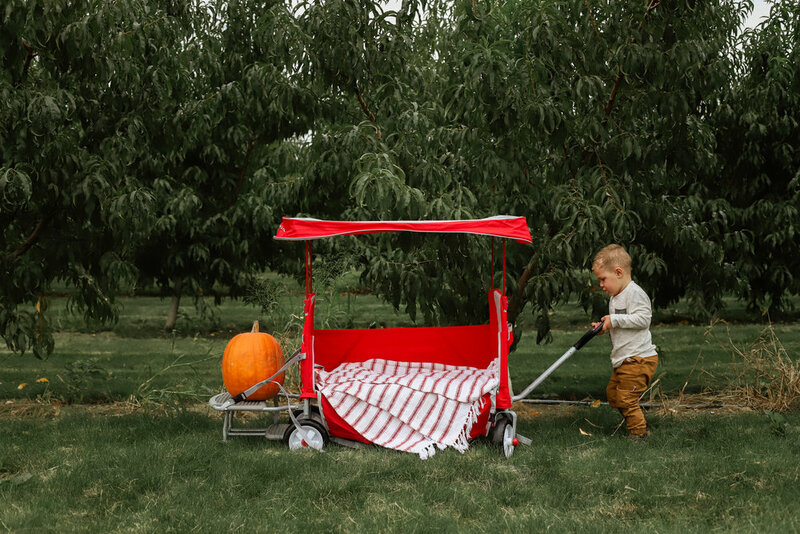 They are perfect for searching for pumpkins!